Bus stop information display pioneer Papercast has deployed its solar-powered E Ink bus stop displays for the Jerusalem Transportation Master Plan Team (JTMT) passenger information system in Jerusalem, Israel. Papercast deployed these systems at several bus stops in Jerusalem as a pilot, with hopes to extend the deployment to all bus stops in Jerusalem. Papercast says that the E Ink displays are 36 times more efficient than previously-used LCD screens, which makes solar power feasible. 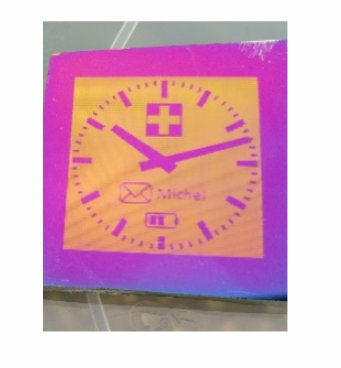 UK-based Bodle, startup developer of the SRD (Solid-State Reflective Displays) technology that promises to combine bright and vivid colors with low energy consumption, has raised £6 million (around $8.45 million USD) in Series A funding. The round was dominated by Parkwalk Advisors, with participation from Woodford Patient Capital Trust, and returning backers Oxford Sciences Innovation and the Oxford Technology and Innovations EIS Fund (OTIF). 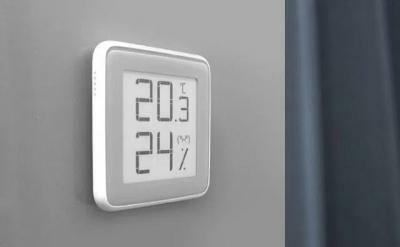 Xiaomi's Digital Thermometer Hygrometer is a digital sensor that measure temperature and humidity that uses a s small E Ink display and its battery can last for a year. The Digital Thermometer Hygrometer is now shipping in China for 59 Yuan (about $9 USD). During CES, EIH's booth is showing this strange-looking dress made from E Ink prism panels. The dress itself was designed by Dai Nippon Printing, and it was already on display at a retail tech show earlier this year in Japan. 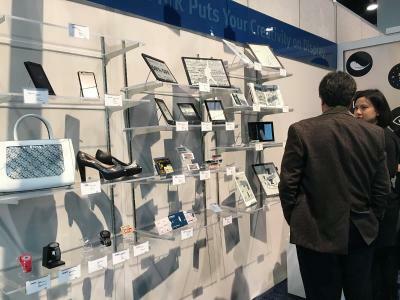 E Ink Holdings is showcasing its latest solutions, prototypes and products that use its e-paper displays at CES 2018. Products on display include mobile devices, retail and healthcare solutions and digital signage. E Ink is showing the latest wearables, e-readers and tablets, and is also demonstrating a replica of the Dazzle wall at the San Diego International Airport parking garage, the world's largest media facade (with 2,100 E Ink Prism tiles), a Bergmeyer-designed E Ink Prism dress, color 32-inch and 13.3-inch Advanced Color ePaper (ACeP), a reconfigurable battery-less (based on Powercast power harvesting RFID technology) price tag and more.